Only 12 of 15 labels are shown. Underplayed labels are variations with minor differences. 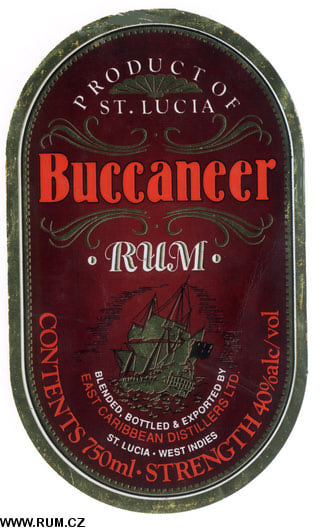 St. Lucia Distillers Ltd. is operated by the Barnard family who have operated a distillery in St. Lucia since 1932. 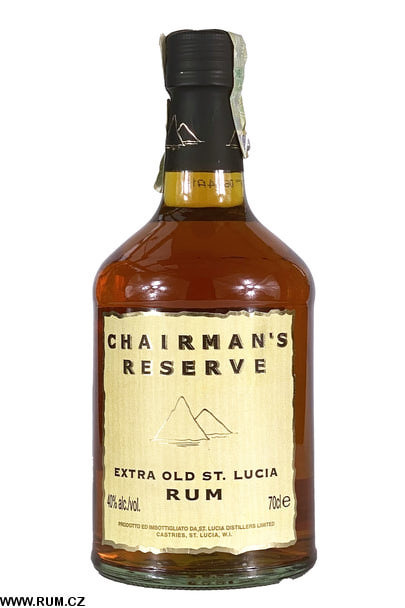 The St. Lucia Distillers Group of Companies was incorporated in 1972 and was formed as a joint venture between Geest Industries and the Dennery Factory Co. Ltd. These two companies had previously operated two distilleries on the island for over 30 years. The new merged company consolidated operations, forming one single distillery in the Roseau Valley. 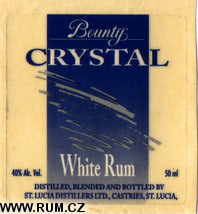 In 1993 the Dennery Factory Co. Ltd., owned by the Barnard family, bought out their joint venture partner and the company reverted to 100% St. Lucia ownership with Mr. Laurie Barnard, grandson of the original owners, as Chairman. 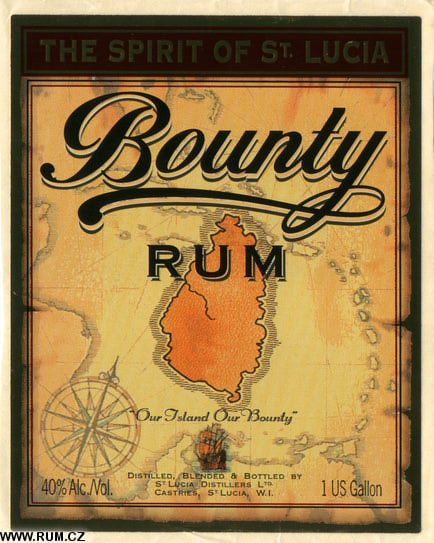 In April of 1998, 24.9% of the shares of St. Lucia Distillers were sold to Angostura Limited of Trinidad and Tobago. The distillery has been considerably modernized and continues to upgrade its facilities. 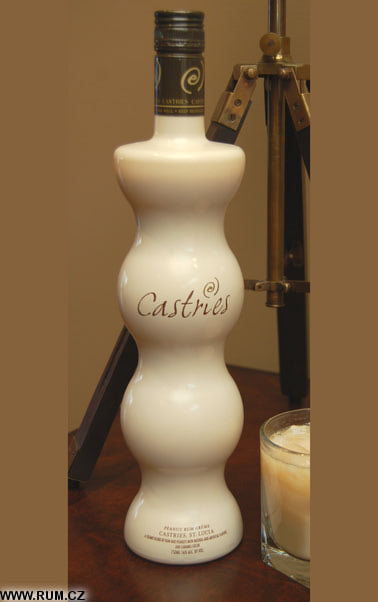 In 1998 the bottling line was relocated, giving the company the ability to blend a wider range of specialty rums. 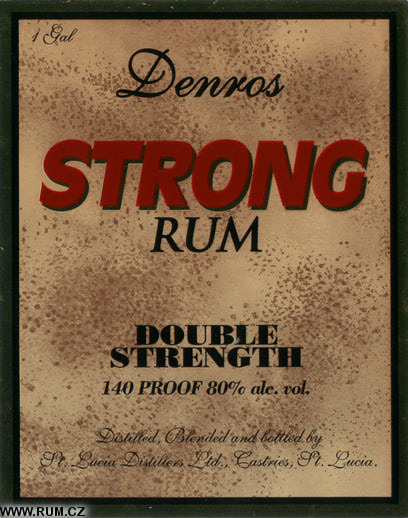 The Barnard family had been making rum at their Dennery Factory Company for three generations before a joint venture merged the resources of the Geest Distillery and the Dennery Factory Company. 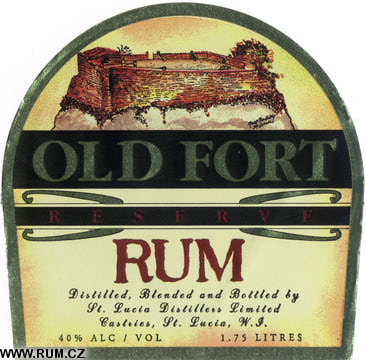 Today St. Lucia Distillers is located on the site of the old Geest Distillery. It was once a part of the Sugar Manufacturers mill in Roseau, just south of Marigot, on the west coast of St. Lucia. Since 1972, the joint venture that kept the Barnard family's distillery interests alive has evolved in many ways. The equipment from the two aging distilleries was replaced in the second half of the last decade with a new two-column still. 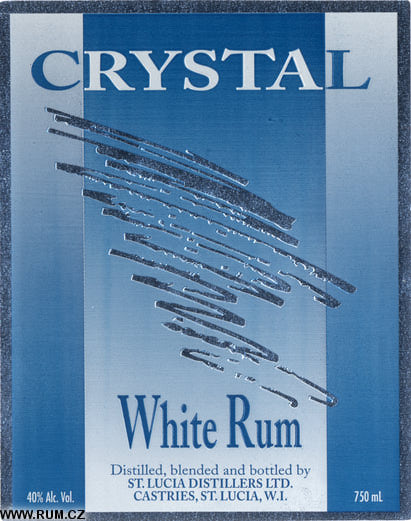 In 1987, East Caribbean Distilleries Limited was formed and another joint venture with Duncan, Gilbey and Matheson International Limited led to the diversification of other spirits that could be produced with the modern still. 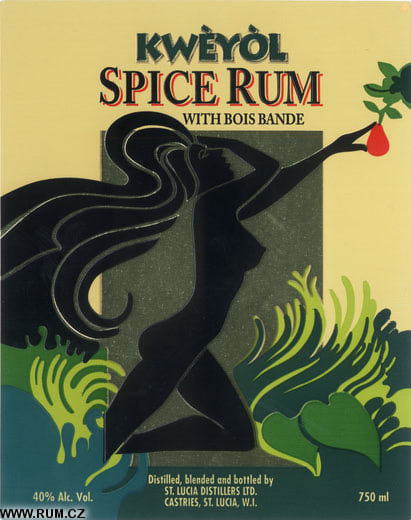 More recently, under another agreement between the Martinique-based company of G and P Dormoy and the newly formed West Indies Liqueur Company, popular La Belle Creole liqueurs are being produced and bottled in St. Lucia. 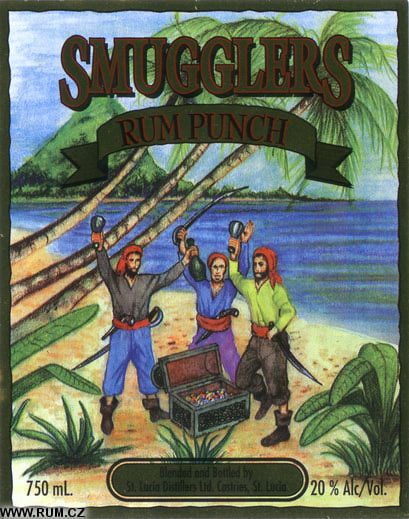 This is the only cooperative agreement I am aware of in the alcohol business between the French West Indies and their English- speaking neighbors. 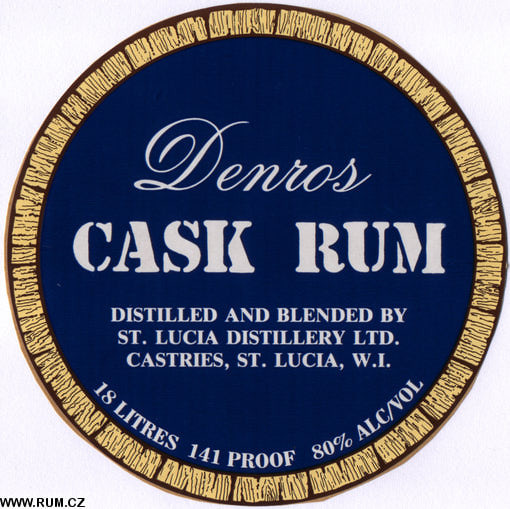 In April 1971 the two distilleries run by the Dennery Co at Dennery, and by Geest Industries (Estates) Ltd at Roseau, were amalgamated as St Lucia Distillers Limited of Castries, a partnership between the principals of those two groups with JAF Hailwood as chairman and A Edward as managing director. By the end of WORLD War II, continuing problems over sugar had reduced the distilleries to three: Cul de Sac and Roseau in the east, and Dunnery on the Atlantic coast. Time was running out for sugar. In 1959, Dutch banana producer Geest bought the Cul de Sac and Roseau valleys; by 1963, bananas had taken over from cane (Dennery had stopped sugar production in 1957). 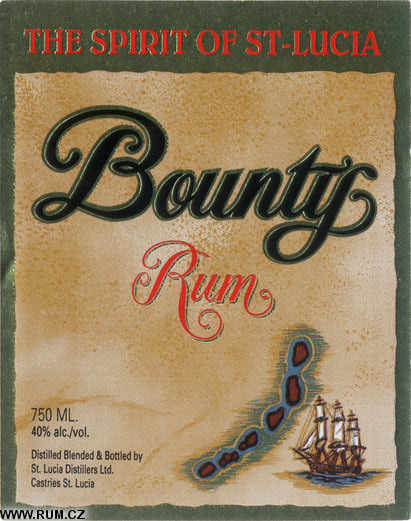 By using imported molasses, rum was still made, however, at Roseau and Dennery until 1972, when joint venture between the Barnards and Geest saw production merge at the Roseau facility, which thanks to its deep-water harbor allowed molasses to be pumped in directly. Geest was bought out in 1993. Five years later, the Angostura company took a 24.9 percent stake. For the first half of the last century, St. Lucia was a sugar-cane growing island and a supplier of sugar to tens of thousands of British tea-drinkers. The sugar was refined from the juice of the sugar cane at factories located in the middle of the cane fields. In 1922, the Barnard family, which had hitherto been involved in the coaling industry in St. Lucia, purchased the large Estate of Dennery, located on the east coast, in the valley of the same name. 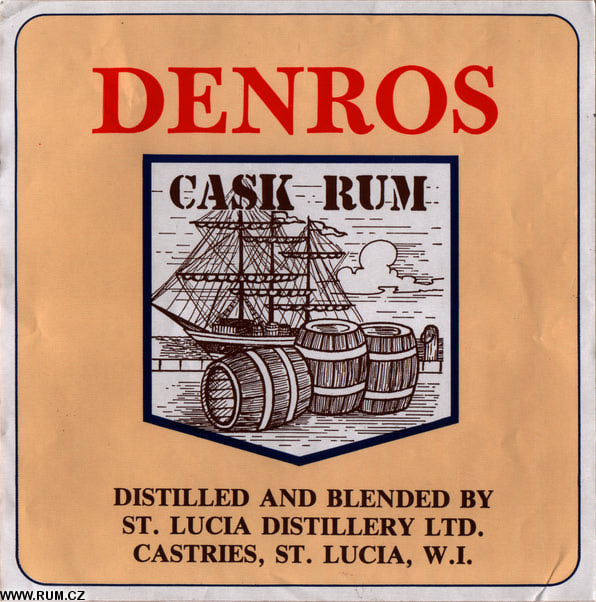 Ten years after that purchase, the young Denis Barnard founded a distillery at Dennery and, in 1972, merged the Dennery Factory Co. Ltd. with the Sugar Manufacturers Distillery in Roseau Valley to form the St. Lucia Distillers Group of Companies which now operates from Roseau. Denis's son Laurie, is the present CEO of St. Lucia Distillers. 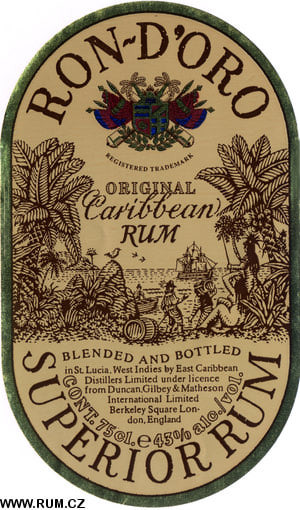 Angostura Limited of Trinidad and Tobago, who produce the world famous Angostura Bitters became shareholders in St Lucia Distillers Limited in1998. Over the years the family-run distillery has been modernised by incorporating new technologies and adopting process improvements. 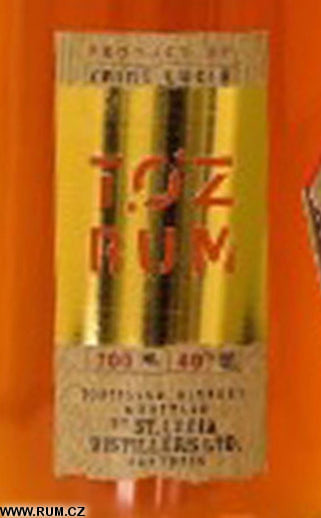 A new bottling line was commissioned in 1998, which has enabled the Distillery to blend and bottle a wide range of specialist rums and liqueurs. 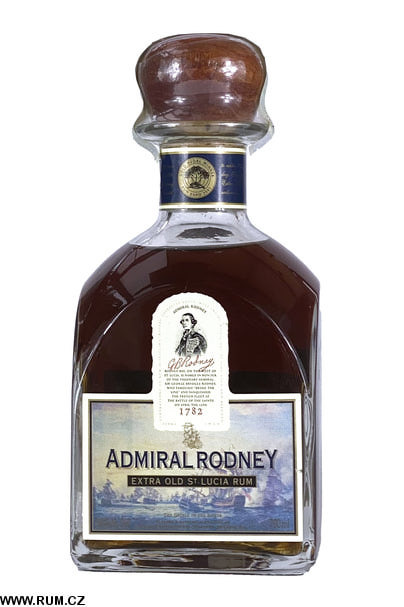 The installation of a pot still at the same time has meant that especially high quality rums are now being produced for aging. Dennery Farmco is an agricultural enterprise of 2 772 acres situated in the Mabouya Valley. Approximately 1 500 acres are considered appropriate for cultivation; the remaining 1 272 acres consist of roads, ravines, steep hillsides and infertile land. In May 1978 the original owners, the Barnard family, agreed to sell the land and buildings belonging to their two companies, Dennery Factory Company Ltd. and Bosquet D'Or Ltd., to the Saint Lucia Government. This property is held by the Government via a wholly - owned corporation, Landco Limited, a subsidiary of the National Development Corporation. The total cost of the land was EC$3.6 million, part of which has yet to be paid off. The operating assets of the two companies were sold to another newly constituted company, Dennery Farmco Ltd. The shareholders of this company were originally intended to include the Caribbean Food Corporation, but the arrangement failed to materialize. The EC$2.0 million in shares are now owned 60 percent by Government, 20 per cent by the Barnard family and 20 percent by Booker Agriculture International (BAI), the last of which having also provided management services until early 1981. Farmco leases the land and associated fixed assets from Landco at a rent of EC$270 000 per annum. 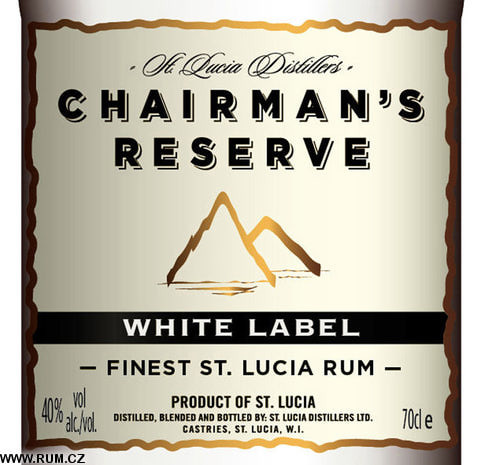 The management of St Lucia Distillers announced last week that despite a major fire at its administrative offices in Roseau the company remained open for business. The fire occurred during the early hours of Wednesday morning May 2 and destroyed the administrative and sales offices, the blending area, a laboratory, raw material storage area and an export finished product bond.